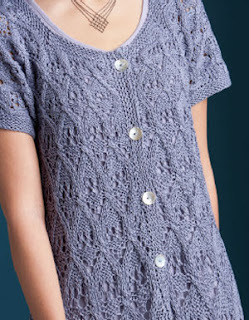 As I continue to dream of warmer weather… let's discuss the Whisper Tunic, from Finish-Free Knits. Knitted with two strands of linen yarn held together, Whisper is an elegant warm-weather cardigan. It easily adapts to a variety of styles—over a simple dress for a splash of lacey class or as a simple cover-up while wandering the beach. Knitted from the bottom up, it is shaped by changing to progressive needle sizes along the way. 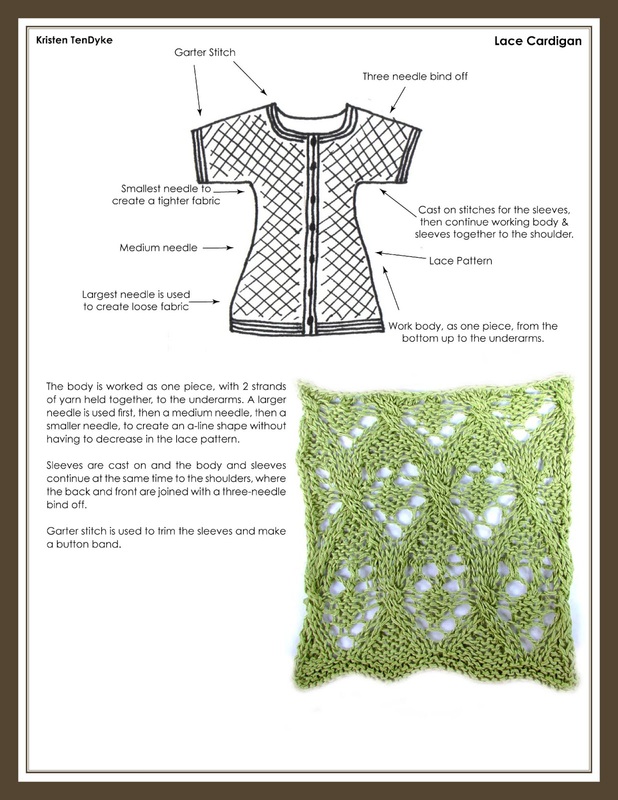 The sleeves and neck are shaped without interrupting the lace pattern. Easy! For the sample in the book I choose to use a 100% linen yarn, and knit while holding two strands together. The 100% linen is machine washable, and after a wash or two the sweater should come out super soft and have an elegant feel and drape to it. 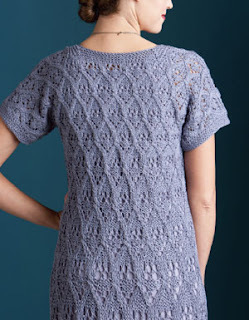 The all-over lace pattern makes Whisper look a lot more difficult than it really is. To help make this sweater as simple as possible I was sure to keep the stitch multiple of the pattern whole throughout all the shaping. That means there is no complicated adjustments to the lace pattern while working the shaping—it's always worked whole, without interrupting the stitch pattern. 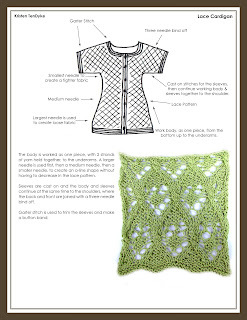 As mentioned in the introduction, this sweater is shaped using a variety of different size needles, beginning with the largest at the hem, and the smallest at the bodice. If you look closely, you can see that the lace at the hem is much more open and loose than the lace at the bodice. This gives the sweater a beautiful drape and flow.